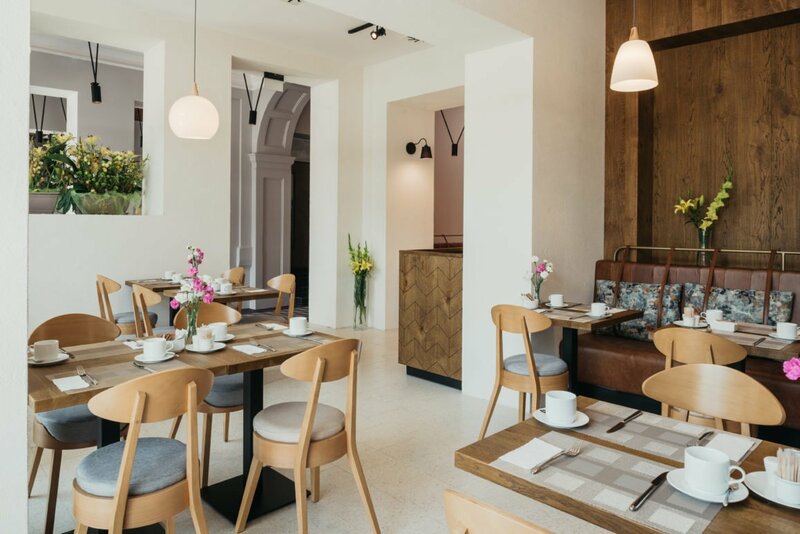 Two tenement houses just at the merchant square in Kraków’ were changed into the vibrant Avena by Artery Hotels and the Nowy Kleparz Bistro. The hotel’s name refers to tradition – in Spanish and Italian, avena means oat. The oat ear motif is found in the majority of materials used inside, such as the carpeting, the bathroom tiles, the decorative wall at the reception desk or the wall decoration in the bistro. The interiors were finished with precious materials while the colours and patterns refer to the merchant roots of the Nowy Kleparz district. This colourful open atmosphere of the bistro is a great backdrop for Fameg’s chairs. At the entrance, the attention of the pedestrians is attracted by uma A-1505 chairs in a light colour and inside, more classic models have found their place. 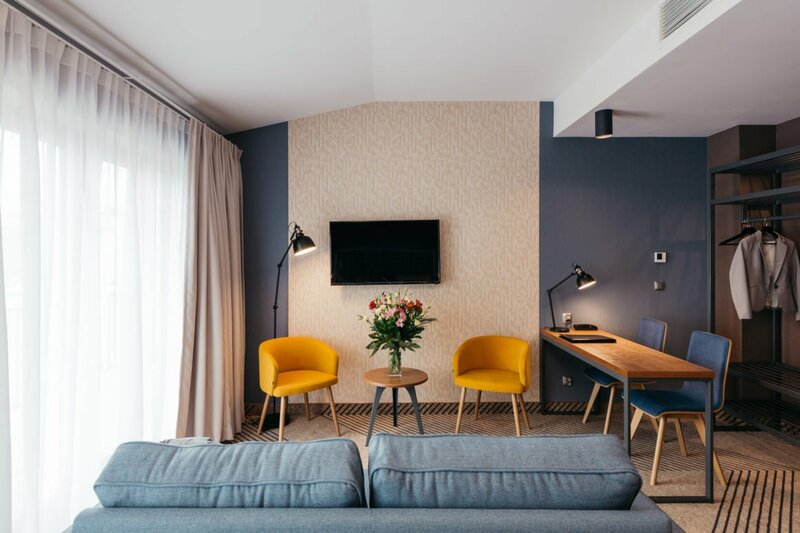 The interiors of the rooms are brightened by skip B-1524 armchairs in a contrasting yellow colour.